Cooling towers systems can be constructed from several construction materials, such as concrete, fiberglass, galvanized steel, stainless steel and wood; each material presents its own advantages. 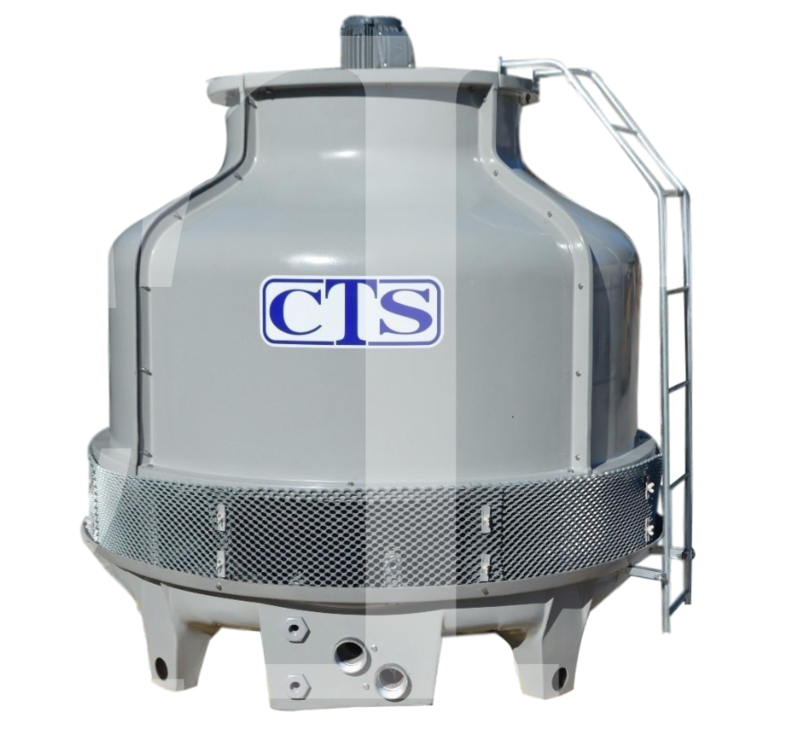 Cooling Tower Systems – Cooling Tower Systems, Inc.
Cooling tower system design is an integral part of providing cost, energy and performance efficiency for a particular cooling tower suited to an application. Factors taken into consideration during the engineering and design process include location, piping, electrical source, tonnage, seismic events, live load, and weather conditions. Common applications of cooling towers systems include cooling the circulating water used in food processing plants, oil refineries, mold temperature controllers and chiller condensers as well as providing cooled air for air conditioning, electric power generation and manufacturing. Cooling tower systems serve wide-ranging industries including industrial, automotive, nuclear power, plastics, dry cleaning, petroleum refining, electrical generation and food processing. Cooling tower systems are generally cost-effective alternatives to other heat rejection devices and methods. There are two main types of cooling tower systems: HVAC cooling towers and industrial cooling towers. HVAC cooling towers combine a water-cooled chiller, or condenser, with a cooling tower. The cooling tower functions to remove heat from the water-cooled chiller by evaporating a portion of working fluid, typically water, in order to cool the rest of the water stream. Industrial cooling towers are heat rejection systems that are used for the cooling of water and other working fluids by means of removing process waste heat from the fluid. Industrial cooling towers are generally much larger and longer-lasting than HVAC cooling towers. Cooling tower systems produce airflow through four different methods; natural draft, which uses the buoyancy provided by a tall chimney structure; mechanical draft, in which a power-driven fan motor is used; induced draft, which places a fan at the discharge to pull air through the tower; and forced draft towers have fans located on the side of the cooling towers. There are four main types of cooling tower systems are: counterflow, in which the air flow is directed opposite to the water flow; cross flow, in which the air flow is directed perpendicular to the water flow; open loop, the heated water is pumped into a tank at the top of the tower and water cascades down through a series of plates while cooling air is moving upwards; and closed loop, the cooling water is contained inside a closed tubing system and cooling occurs by running water over the tube housing the heated water. Cooling Tower Systems Cooling tower systems, sometimes referred to as heat rejection devices, provide cooling of water and other fluids through the removal of heat from the fluid. Essentially, a cooling tower is comprised of a water tower and a water reservoir pumping system.